Many people love fall for its beautiful colors, falling leaves, and cooler temperatures. However, this won’t last long. Winter is just a few months away and this nice weather will quickly begin to diminish once snow starts to fall. One major concern for many homeowners during this time is how their HVAC system will hold up. You’ve likely been running your AC pretty hard this summer. And although you probably won’t have to turn on the heater for another couple months, you need to ensure it’s working by the time you do. Jay Mechanical is your top-rated HVAC company in Essex, Vermont, and we want to ensure your furnace is ready by the time the coldest months of the year hit. Read on to learn more. Above all else, you’ll want to make sure you get an early start on your furnace maintenance this fall. Although you can wait until winter to have your system checked, you may be disappointed to discover that you need a whole system replacement. In this case, you may be out of a heater for several days or weeks. Now is the time of year to let as much natural light into your home as possible. Don’t keep your shades closed, leave them open, especially when it’s sunny out. This will help you cut your heating costs and keep your furnace working well all the way to spring. One simple way to keep your energy bills low this fall is to do all your own cooking. Not only will you save money by not eating out so much, but you’ll be keeping your home warm in the process. You may be caught up in trying to ensure that your furnace is repaired or replaced by the time winter comes around. However, don’t forget about the thermostat. Your thermostat is just as important as the furnace itself because if it isn’t communicating properly or isn’t working at all, you may not be getting the heating you need. You may want to consider having a programmable thermostat installed. This type of thermostat will allow you to keep your heating system in sync with your schedule, meaning right when you get home, the furnace will turn on, and when you leave for work in the morning, it will turn off. This could save you hundreds on your energy bills this winter. One thing you can do without the help of a professional is to change your filters every couple months. Your HVAC system depends on unobstructed airflow in order to circulate air throughout your home and save you money. However, it can’t do this when your filters are clogged with dust and other airborne allergens. You should take care to check them regularly, and be sure to ask your HVAC specialist if you have any questions about finding the right size of filter, how to replace them, or if they even need to be replaced. 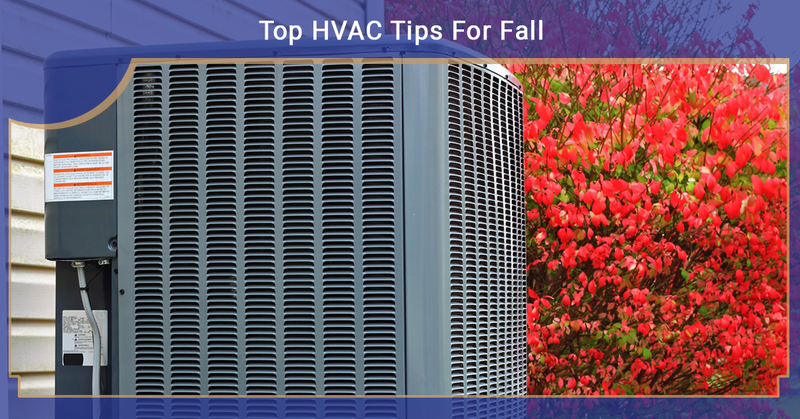 The most important thing you can do in early fall is to get in contact with a reputable HVAC company. The HVAC and plumbing industries are notoriously filled with scams and poor business practices, however, not all companies are out to get you. Jay Mechanical is your top-rated HVAC company in Essex Junction, Vermont, and has a full commitment to quality each and every time you call us. What this means is that you’ll never have to worry about us scamming you or overcharging for our services. Our highest priority is to get your furnace looking and running great in early fall so that by the time winter comes around, you’ll have a functioning and energy-efficient system to hold you off until next year. If you have any questions about our services, or you’re ready for us to inspect your system, give us a call today.